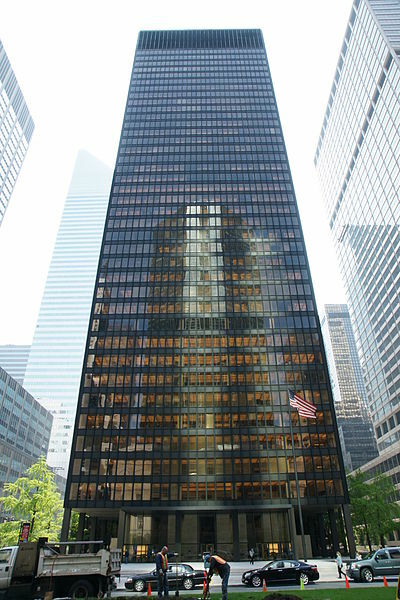 Located on Park Ave., the Seagram Building is the only building in NYC designed by the famous German–born architect Ludwig Mies van der Rohe. MvdR became known as a proponent of the International Style. In its early manifestations, this style was characterized by asymmetrical composition, geometric shapes, absence of applied decoration and large windows often in horizontal bands. This 38 story building was the first fully modular office tower designed to accommodate standardized interior partitioning.